Brunch always seems like a good idea on the weekends. 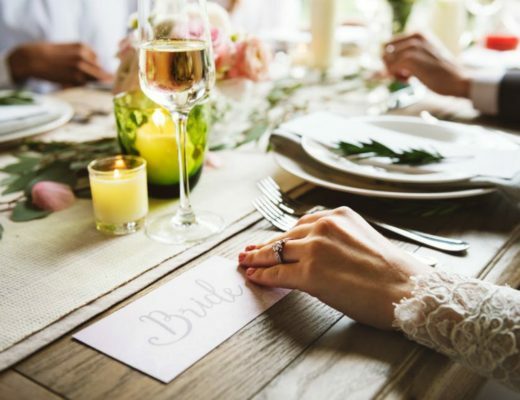 But maybe your favorite place has a long line (such as the infamous NYC brunch spots) or changing out of pajamas just doesn’t seem appealing to you. Instead of going out- why not stay in and cook? Get those feet dancing in the kitchen and sweeten up your morning with pancakes! 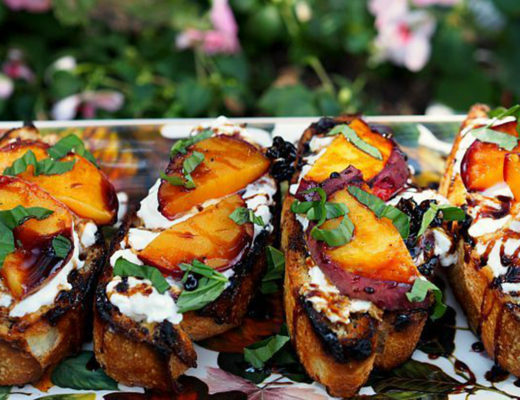 Here are some creative recipes that are worthy of spoon-licking! Love the flavor of pecan pie? 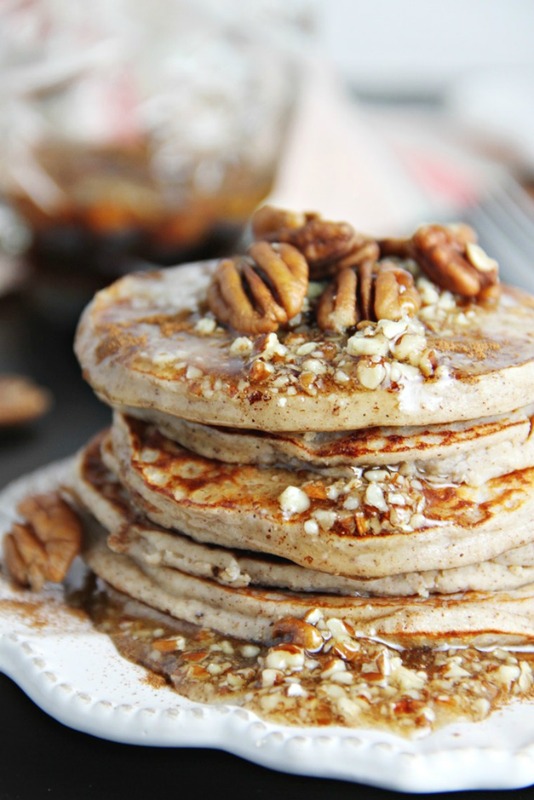 Christine from Jar of Lemons has created a delicious and healthy pancakes recipe that mimics that beloved pecan pie flavor. Filled with egg whites, protein powder, and Greek yogurt, these will sure keep you full all morning long! 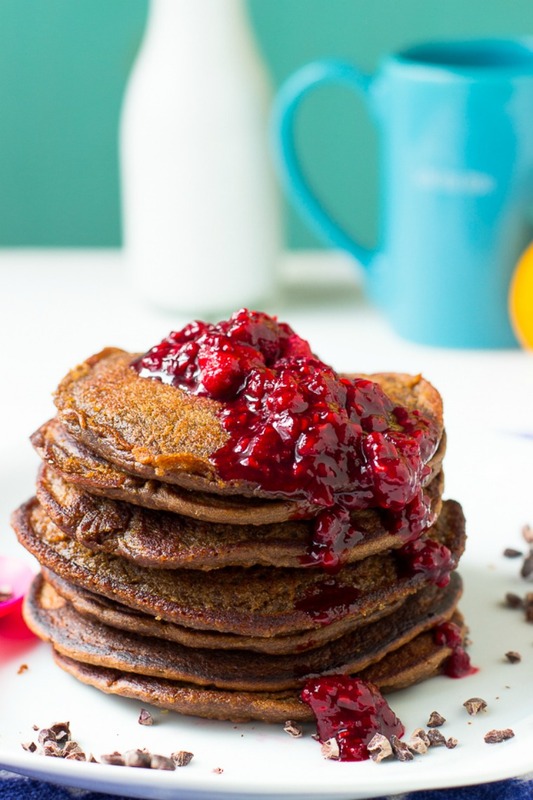 Easy to make, healthy, and refined sugar free, these pancakes from Jessica of Jessica in the Kitchen will satisfy any of your peanut butter chocolate cravings! Combining all the ingredients in a blender allows for a easy clean up and a batter made quicker- which only means having pancakes faster! Instead of reaching for that peanut butter cup, try these instead! Churros are a great treat, but frying dough isn’t always in the cards. 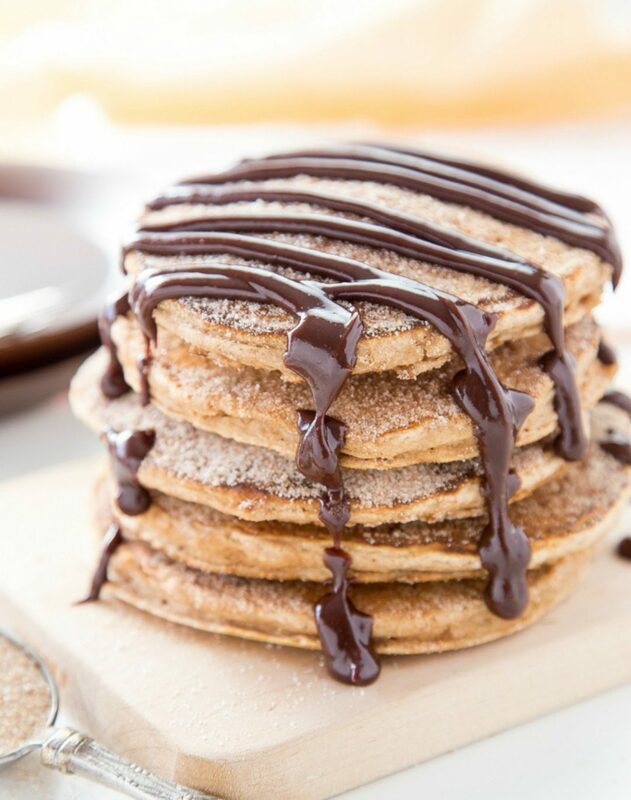 Deb from Cooking on the Front Burner has created a delicious pancake recipe that tastes exactly likes churros! 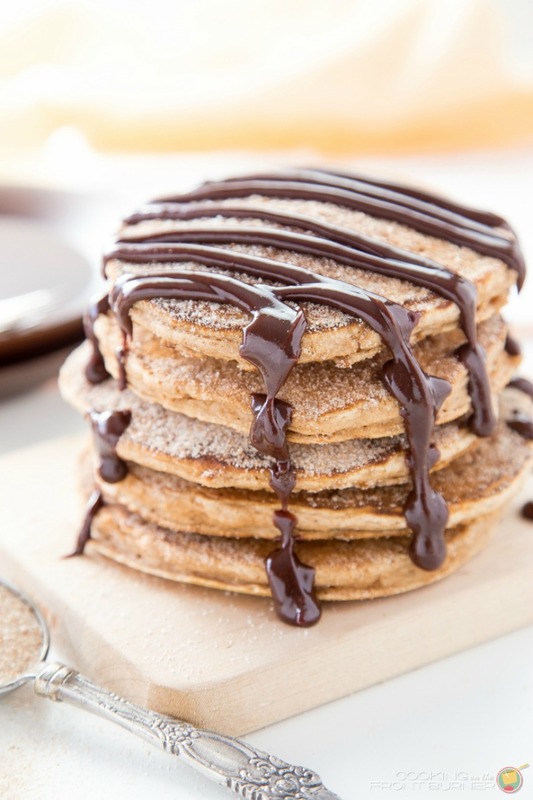 Filled with lots of cinnamon and topped with a spicy chocolate sauce, this recipe will have your day starting out on sweet foot. Looking for a citrus filled breakfast treat? Check out this recipe from Jessica of The Novice Chef. 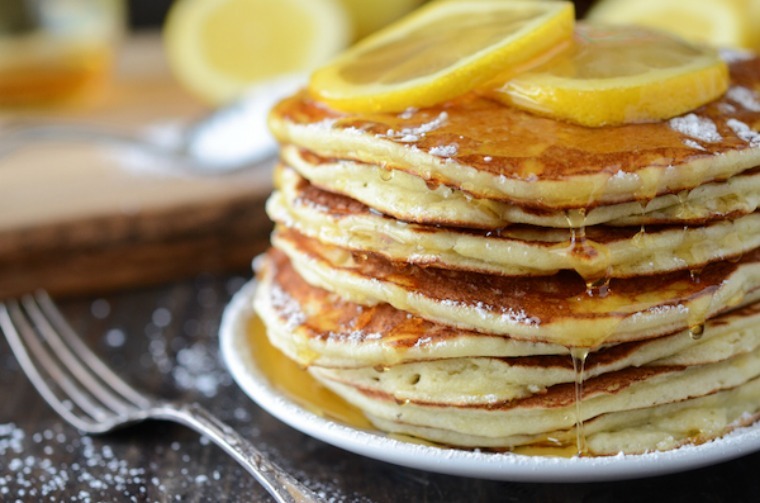 Filled with rich ricotta and lemon zest, these pancakes will make your tastebuds sing. 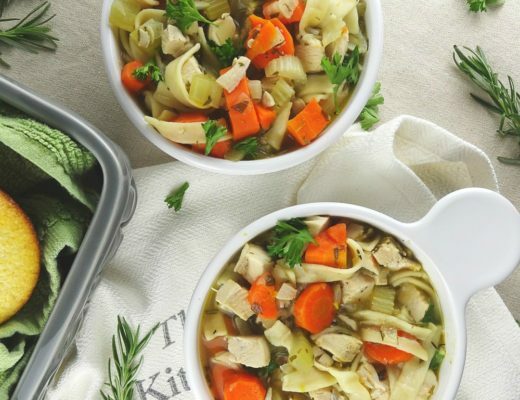 Add this recipe to your weekend to-do list!